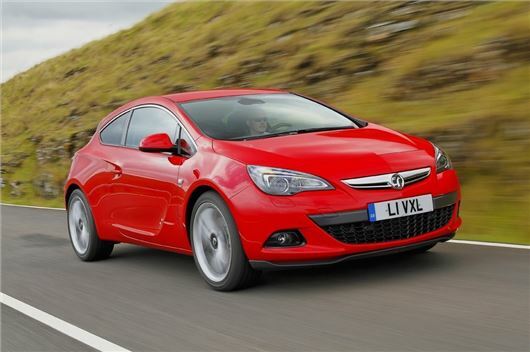 The Astra GTC is now available with Vauxhall's latest 1.6-litre petrol engine producing 200PS. Priced from £20,995 the direct injection engine accelerates from 0-62mph in 7.3 seconds. The four-cylinder engine was first fitted in the Cascada and in the Astra GTC it's the fastest model bar the VXR. Along with an increase in power over the previous 1.6-litre turbocharged engine, torque has also been boosted and is now 300Nm. Vauxhall says the new engine is the only in its class to have twin balancer shafts for smooth running along with sound engineering measures to reduce noise and vibration. Meanwhile, Vauxhall has added the Intellilink infotainment system to the Astra GTC as an £855 option. It comes with satellite navigation, voice control, Bluetooth phone and audio connectivity, picture viewer and Gracenote album art, with a seven-inch touchscreen display. The top-of-the-range Navi 950 IntelliLink has Europe-wide street level mapping with updates downloadable via USB. It can also read out text messages as well as integrating smartphone voice recognition functions.